MYCincinnati is a tuition-free, daily youth orchestra program for children in the Price Hill neighborhood of Cincinnati. 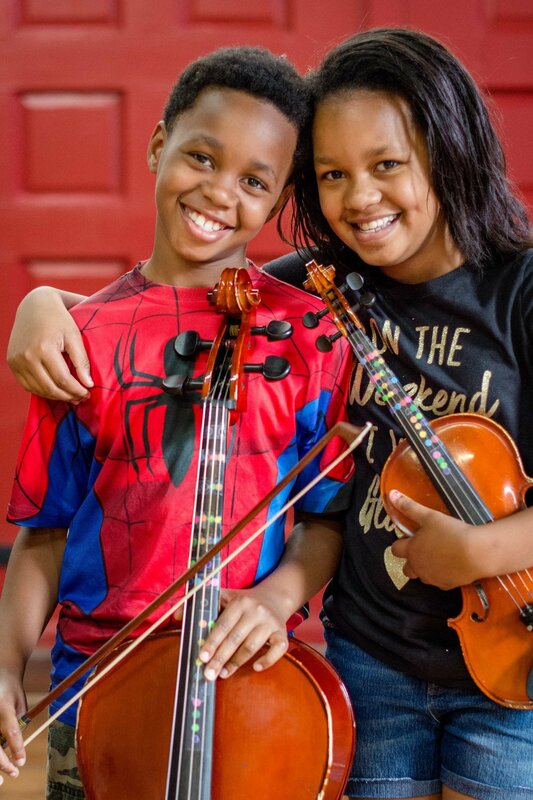 Founded on the idea that personal transformation can be achieved by striving towards musical understanding, students enrolled in MYCincinnati have the opportunity to learn violin, viola, cello, double bass, flute, clarinet, oboe, percussion, and play in an orchestra. Currently there are 120 students enrolled in the program, and each is engaged for 10-15 hours of musical programming every week. MYCincinnati is inspired by El Sistema, Venezuela's national network of youth orchestras and choirs that uses music as a vehicle for social change. MYCincinnati is a program of Price Hill Will, a non-profit community development organization. Eddy is Director of MYCincinnati. The MYCincinnati Ambassador Ensemble is a string sextet of young musicians led by MYCincinnati Director Eddy Kwon. For the 2014-15 school year, the group engaged in weekly critical discussions around identity, social justice, power, and the artist as an agent of change. Using these conversations as creative inspiration, Eddy worked with the students to compose a performance work that organically combines storytelling, avant chamber music, and social criticism with the ensemble's intense, youthful energy. Renowned photographer Michael Wilson and multimedia artist Henry Wilson captured the year-long project in a gorgeous and powerful documentary film. Through the lens of one of America's most legendary photographers, viewers are allowed a look into the world of a truly unique ensemble, and the community they hope to inspire. In November of 2015, The MYCincinnati Ambassador Ensemble performed a sold-out collaborative concert with Swedish songwriter Jens Lekman. Performing string arrangements by Eddy Kwon, the ensemble brought their inimitable energy and style to Jens' thoughtful and unique songwriting. A partnership with the Contemporary Arts Center's Black Box Performance Series.